Think you can’t have waffles when you have Prediabetes or Diabetes? You can! You just need to ditch the refined white flour and replace it with whole grain oats! 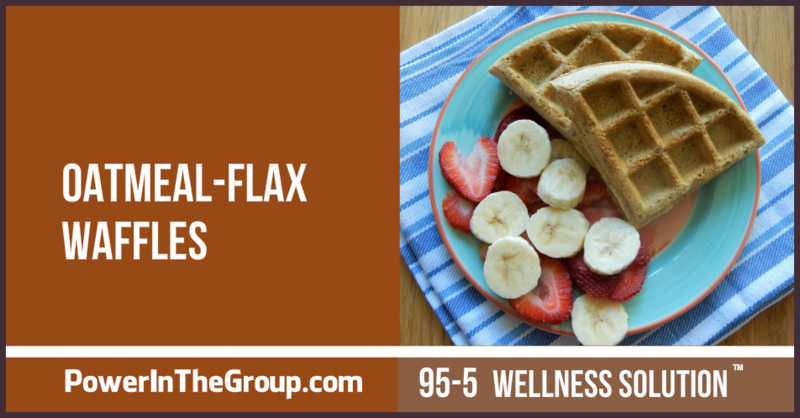 My Diabetic Friendly Oatmeal Flax Waffles Recipe makes SUPER filling waffles that'll keep your blood sugar stable for hours. Ok, ladies, these waffles are awesome! ...if you read to the very end of this post, you'll learn a secret about me and waffles! 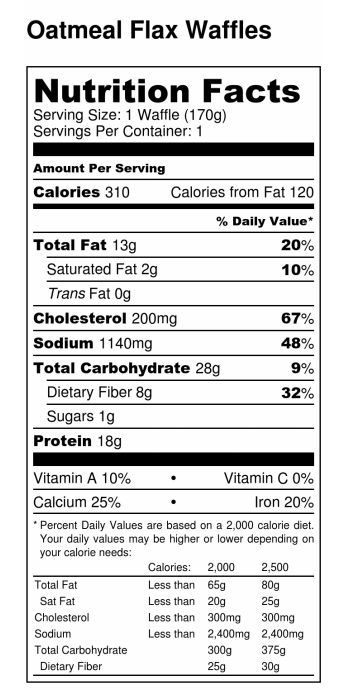 These waffles have absolutely NO wheat flour in them! Instead I've used whole grain oats. 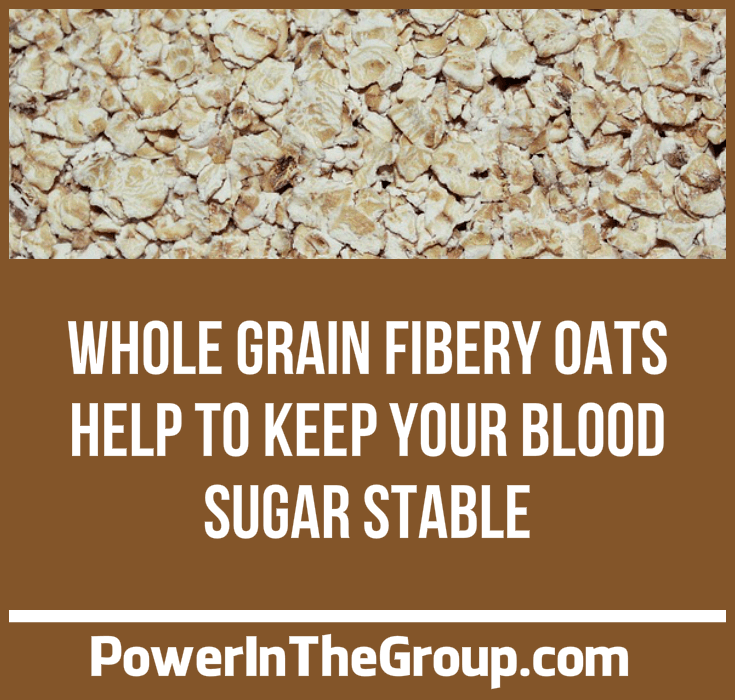 You might already know that whole grain oats are awesome for blood sugar control. But instead of just making oatmeal, why not whip up a waffle? You can turn thick oat flakes into waffle flour with a quick zip in a blender or a spice grinder! Blend the oats to flour in a blender or spice grinder. Remove from blender and place in a mixing bowl. Add the rest of the dry ingredients to the bowl. Add the wet to the dry and whisk, mixing thoroughly (the flax will quickly thicken the mix). Cook in a waffle iron set to high (if a dial-number system, use the highest number). The waffles do not stick. But if your iron has a tendency to stick, use a spray of olive oil in your waffle iron before the first waffle. Freezing For Later: These waffles freeze well and are great for popping out of the freezer, heating up in a warm oven or toaster, and making a quick breakfast or snack. Notes: The batter may thicken up considerably by the time you make your final few waffles since the flax just keeps on gelling up more and more. If this happens, thin out the batter with a bit of soy milk (the waffles will still be okay). 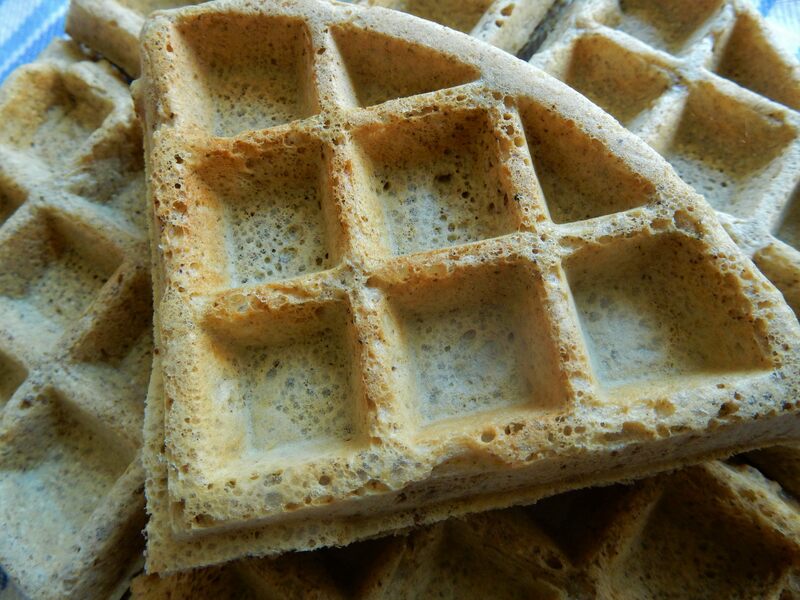 To keep the waffles warm until you serve them, lay the waffles on a cooling rack in a warm oven. DO NOT stack them or they will get soggy. Stewed Fruit: Stew frozen fruit (heat up the frozen fruit in a pot – NO WATER, just the fruit). Top with coconut-yogurt or not, your choice! 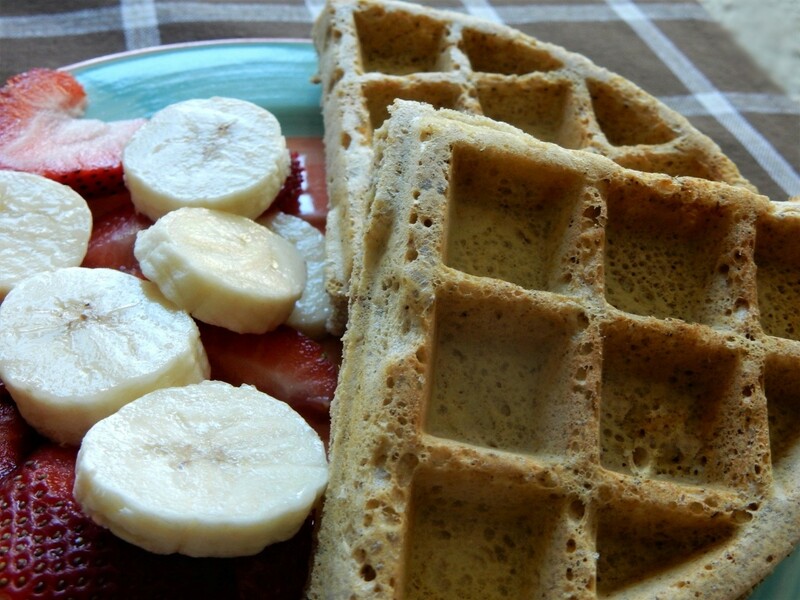 I hope you love my Diabetic Friendly Oatmeal Flax Waffles Recipe as much my family does. And here's that secret about me that I promised at the beginning of this post...sometimes my family and I have these for supper!!! Hey, why keep waffles just for breakfast? Enjoy waffles no matter what meal you eat them with!